Mostly Books bookshop in Abingdon : 'Buy Dad a Real Book' - The Mostly Books 2013 Father's Day Collection! 'Buy Dad a Real Book' - The Mostly Books 2013 Father's Day Collection! For the last few years, we have worked extremely hard to pick out a dozen top Father's Day recommends as part of our 'Buy Dad A Real Book' campaign. We still heartily recommend the benefits of telling Dad to turn off the gadgets, step away from any screen - and drop off the grid for a bit - and indulge instead in some very special reading. A sophisticated story portraying the moral choice of one man, Toby Bell. Working his way up in the Foreign Office, he suspects scandal, but is it really worth sacrificing his career to expose the sordid details of a disastrous counter-terrorist operation? 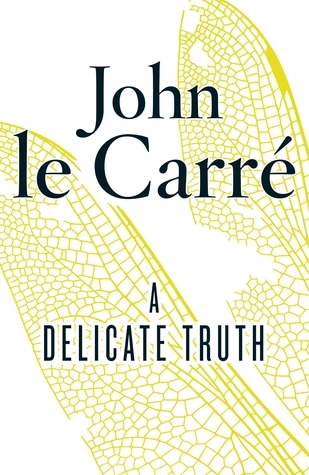 Le Carré really is a phenomenon and ‘A Delicate Truth’ is genuinely up there with the best of his novels. His writing represents an unparalleled output of consistent quality, but what links this to all his stories is an unflinching examination of how power operates – and the consequences for the rest of us. A fabulously entertaining look at the history of sport - seen through the all-seeing lens comfortably in the corner of your room (or recently, down the pub). After all, most triumphant sporting experiences we have experienced have been viewed and enjoyed in this way - via the marvel of the collective medium of television. As author Martin Kelner says at the start of this hugely entertaining book - the trouble with most sporting histories is that they were 'written by people who were there'. 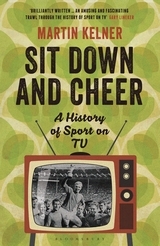 Kelner takes you on a walk down memory lane, and - with some wonderful obscure nuggets of information and a lot humour - he takes the reader through from when sports were first viewed on black and white television through to HD and 3D. 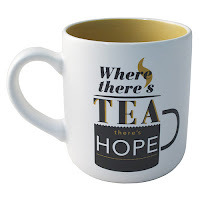 He also muses on what the future might hold - a delightful Father's Day choice! 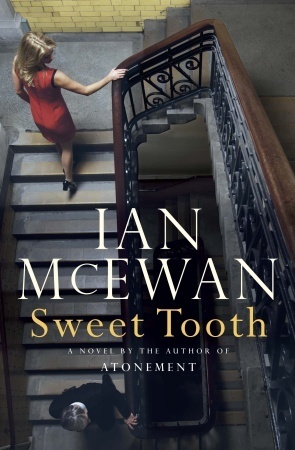 Set in 1972, Ian McEwan tells the story of Serena Frome, a student studying maths at Cambridge, but with a secret and real passion for literature. Burying herself in books, and dreaming of romance, she has a short, but passionate affair with a Don who grooms her to join the British Intelligence service. After earning a junior position in MI5, Serena is avid to prove herself. And so, through her knowledge of literature, she is assigned to look after an anti-communist writer, Tom Haley. But when they become infatuated with one another, the lines between Serena and her secret life start to become blurred. And in doing so, she breaks the one rule of espionage: Trust no one. Written - extremely deftly - in the voice of the main character, Serena is now a woman in her 60s, but tells the story looking back to the dramatic times of her late teens and early 20s. Ian McEwan does this exceptionally well, wrapping the secrets of the story within the enigma of Serena herself. 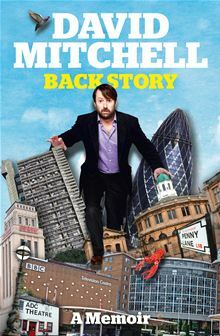 David Mitchell's 'celebrity memoir' is the proverbial breath of fresh air. No mutual backslapping, airbrushed versions of history and stories of a difficult childhood. Aside from a truly awful prep school experience, David had a happy childhood with loving parents who sacrificed much. He went to school here in Abingdon, then onto Cambridge where he became president of Footlights, and proceeded to doggedly carve out a career in TV comedy despite plenty of knock-backs. It’s the painful self-examination and simple honesty that make this so refreshing. Add in some wry humour, a few trademark rants and a some wonderful nuggets of wisdom - and this is what makes the book really come alive. As an alternative to going down the pub, what could be better than sitting back on the sofa with a good book...accompanied by the perfect brew? And we can't find think of a better mug to drink it out of than one of our splendid range of mugs from UrbanGraphics with some funky good advice on them. We can heartily recommend a 'book + mug combo' - so ask us if we can put one together for you when you pop in next! Robert MacFarlane is arguably our finest living writer when it comes to our relatinship with nature and the outdoors. Author of one of favourite books 'The Wild Places', in his latest book 'The Old Ways' Robert follows the tracks, holloways (a 'sunken lane' in case you didn't know) and sea-paths that form part of a vast ancient network of routes criss-crossing the British Isles and beyond. As he discovers this lost world, Robert's beautiful and poetic language creates a landscape in the mind of the reader that is irrisistable. MacFarlane has breathed new life into nature writing and makes it impossible to ever take an unremarkable walk again. If biking is more Dad's thing, you may already know that we are very proud of our cycling section, but this book is one of our current favourites. Author Jack Thurston invites you to discover the hidden corners of Southern England, travelling along its ancient network of quiet lanes and byways. 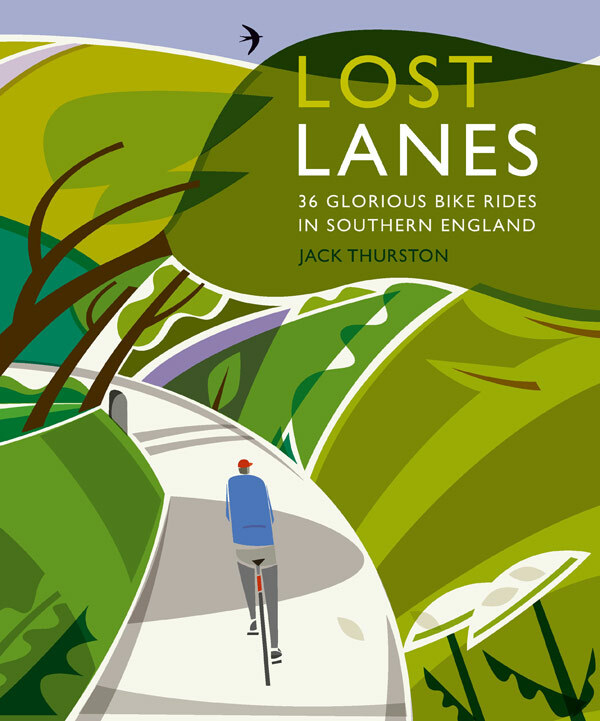 'Lost Lanes' takes you on 36 meandering tours of the most beautiful and hidden destinations in southern England. Including overviews, maps and overnight stops - and even GPS info, and details about mobile apps and downloads - this is an inspiring part-guidebook, part-travelogue to get the whole family out on the bike. 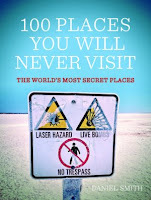 Speaking as a Dad, occasionally you get a feeling of ennui, of wanderlust, perhaps recapturing travel you may have done in your youth - or just intimidated by having been bought one of those '10,000 places to visit before you die' books. 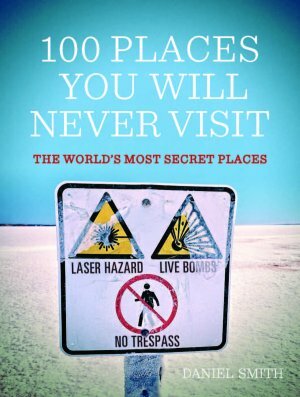 Anyway, '100 Places You Will Never Visit' is the perfect antidote - whereas MacFarlane gets you up out of your chair and walking locally, and Thurston gets you on your bike, this book might satisfy any larger, unrealistic ambitions. Basically, these are all places that, even if you wanted to visit, you can't. A casual conversation with a patient nearly ten years ago led Prit Buttar - Abingdon GP and ex-army doctor - on an amazing journey of discovery, uncovering hidden stories about the end of the second world war on the Eastern Front. His book 'Battleground Prussia' was a critical success, and Prit has now followed up with a brilliant new history of the Baltic States: 'Between Giants'. During World War II, Latvia, Lithuania and Estonia found themselves trapped between the giants of the Soviet Union and Nazi Germany. Over the course of the war these states were repeatedly occupied by different forces, and local government organizations and individuals were forced to choose between supporting the occupying forces or forming partisan units to resist their occupation. Devastated during the German invasion, these states then became the site of some of the most vicious fighting during the Soviet counter-attack and push towards Berlin. This is a must-read for anyone interested in 20th century history, shedding new light on episodes of the Second World War largely unknown over here, but revealing new heroes who stood up against huge forces on both sides - saving countless lives in the process and providing shining examples of humanity. We have signed first editions of the book here at Mostly Books - and would of course make a superb Father's Day gift. 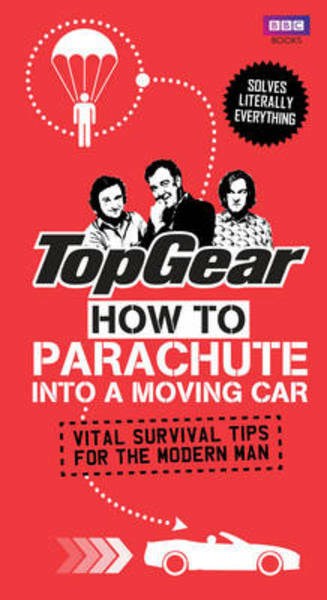 We debated about putting this on the list - after all, Top Gear is everywhere and Hammond, Clarkson and May hardly needs any support from independent bookshops to get into the top ten. But, oh dear, we've had to put a stop on reading this in the shop because it's so funny. 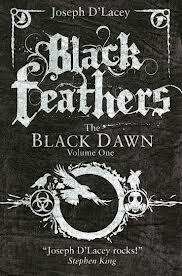 Some excellent SF and Fantasy titles have been hitting the shelves this month - but our pick for Father's Day is this fantastic adventure from Joseph D'Lacey: 'Black Feathers'. It's an intertwined, two-part story about two children. Gordon lives in a possible present time where everyone is ruled by a totalitarian government called 'The Ward' and life as they know it is falling apart due to natural disasters, famine and disease. Something inspirational to finish with. 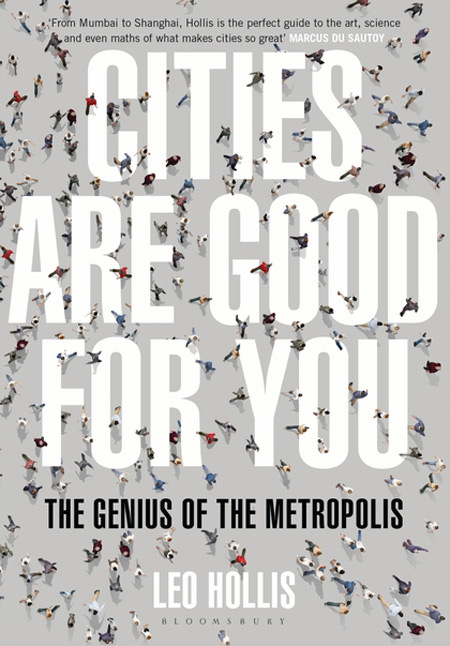 'Cities Are Good For You' is an inspiring look at just why cities are indeed good for you - and for mankind in general. Chock full of examples from London to New York, Shanghai to Mumbai, this constantly surprising look at arguably human's greatest achievement will make you look again at how we might house, feed and keep a burgeoning population healthy - particularly now that half of humanity live in cities. So - there you have it - the Mostly Books Father's Day Collection 2013. Still need some inspiration? Take a look at our selections from 2012 and 2011 - and if that doesn't inspire you, drop in and talk to us (or any other good independent) for a special recommend!